As Copenhagen and the rest of Denmark is increasingly becoming more environmentally friendly, it can be frustrating to note that certain companies are continuing to produce plastic like there’s no tomorrow. Leading the charge are the manufacturers of coffee capsules and the machines that support them. By nature, we tend to be impressed. “They’re so cool,” we coo – but try saying that about a billion of them in a trash mountain. 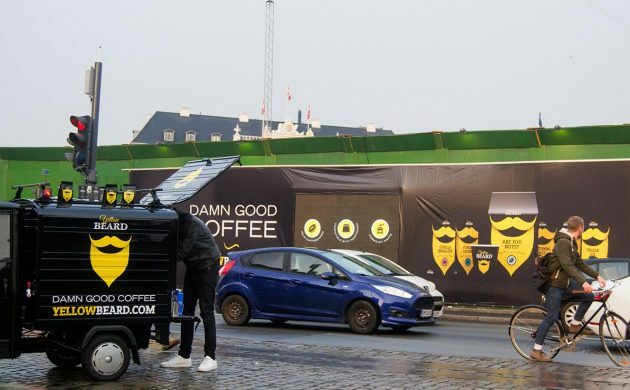 Fortunately help is on the way, according to one-stop-shop and online coffee brand YellowBeard, a Danish B2B and B2C day-to-day company that delivers a broad range of coffee products – including machines, capsules and beans – to your doorstep. Within 18 months, their capsules promise to be compostable – great news for the planet and guilt-free “damn good coffee” drinking. Even Agent Dale Cooper would have to agree that YellowBeard settles for nothing less than a “damn fine cup of coffee”. Sourced from a much broader range of countries than normal – including Brazil, Nicaragua, Columbia, Ethiopia, Honduras, Kenya and Peru – it offers organic and fair trade coffee in the aforementioned capsules and beans. There’s a good reason why compostable capsules are taking time to deliver. “We are hoping to be able to deliver our coffees in compostable capsules within the next 12-18 months,” YellowBeard confirmed to CPH POST. In the meantime, YellowBeard is busy expanding – starting with Scandinavia this year, and then globally over the next three to five years. It is confident its subscription one-stop-shop and online coffee brand, which cuts out the convenient store and gets the products straight to the customers, is the kind of service people are looking for. “Brand-wise, we are trying to get away from being a dull brown/black ‘mokka’ company and just having Brazilian, Kenyan and Ethiopian coffees,” enthuses the company.